This is a beautiful piece of art work from GRAHAM NOLAN! This awesome splash page is from DETECTIVE COMICS #671 pg 10! 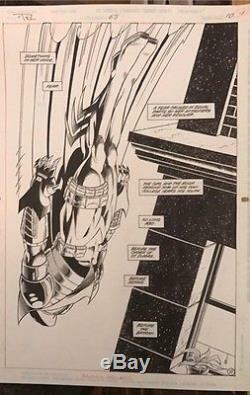 The item "ORIGINAL DETECTIVE COMICS #671 PG 10 GRAHAM NOLAN COMIC ART PAGE! Knightquest" is in sale since Monday, July 24, 2017. This item is in the category "Collectibles\Comics\Original Comic Art\Splash Pages". The seller is "the_comiclord" and is located in Wixom, Michigan.